What’s coming up on this edition of the Deeper Waters Podcast? Let’s dive into the Deeper Waters and find out! First off, for all interested in hearing about my debate with Humphreys, I am pleased to say that in my opinion it went very well. I will be getting a link to it ASAP and that link I plan on putting up on the podcast feed. For now, let me tell you what’s coming up! Last week I interviewed Lynn Wilder on her book “Unveiling Grace.” It was about her escape from Mormonism. Her son Micah was highly influential as he was the first to escape. He went on later to establish a band of ex-Mormons called Adam’s Road. They will be on the show to talk about their escape and also do some music. So who are these guys? Micah Wilder grew up in Yorktown, IN, raised in the Mormon religion. At age fourteen, his family moved to Alpine, Utah, where he continued to grow in zeal towards this religion. By 2004, this nineteen-year-old young man took his dedication and zeal for Mormonism to Orlando, Florida, where he would spend the next twenty-three months representing the Mormon Church as a missionary. In Florida, a Christian minister challenged Micah to read the Bible as a child. Hoping to validate Mormonism through the Bible and prove this minister wrong, Micah read the Bible vigorously for a period of about eighteen months. During this process, God opened his eyes to the truth of the Gospel, and he chose to testify to the Gospel of the grace of God in front of a mass of Mormon missionary peers. Micah’s LDS leadership sent him back to Utah early from his LDS mission as a result—but his life was just beginning as a missionary for Jesus Christ. 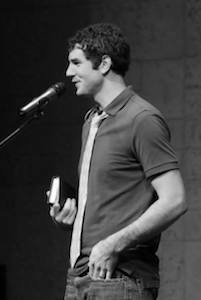 In early 2006, Micah left Mormonism, family, and career pursuits for Jesus. He has served with the Adam’s Road Ministry since 2006, where he has a zeal for passionately sharing the Gospel and love of Jesus Christ through testimony and music. He resides in Winter Garden, Florida, is married to Alicia Wilder, and is the proud father of three boys. Matt Wilder was raised as a Mormon in Yorktown, Indiana. He spent a couple of years in Utah before serving a two-year LDS mission in Denmark. After his Mormon mission, Matt pursued studies at Brigham Young University as a pianist. While at BYU, his younger brother Micah was released early from his two-year LDS mission trip for testifying of the Biblical Jesus. Micah then shared the Gospel of Jesus Christ with Matt and encouraged him to read the Bible. As Matt read the Bible, he was eased of the burden of trying to earn God’s forgiveness, and came to realize and accept the free gift of salvation through faith in Jesus Christ alone. He walked away from BYU to join Adam’s Road Ministry, where he has served since 2006. He married Nicole Wilder in 2006; they have one daughter. 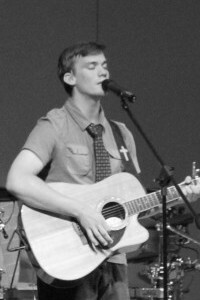 Matt enjoys sharing the Gospel message through music and testimony. And their brother-in-law Joseph Warren. Joseph Warren grew up in Kaysville, Utah, in an LDS (Mormon) home. In 2004, he left home at age nineteen to serve a two-year Mormon mission in Florida. While in Florida, Joseph was challenged to read the Bible as a child. He had considered himself to be a good and righteous person. As he read the Bible, however, God convicted Joseph of his sin. Yet he also learned about God’s grace and the beautifully simple Gospel message of Jesus Christ. As a result, he would walk away from the Mormon Church for a personal and saving relationship with Jesus Christ in 2006—at the peril of damaging relationships with his LDS family members and friends. 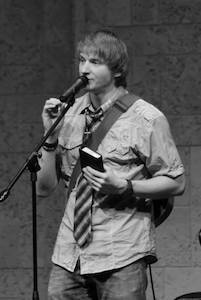 Singer and songwriter Joseph Warren currently serves with the Adam’s Road Ministry in Winter Garden, FL. He has a heart for glorifying God through his musical gifts and his testimony of God’s grace. He married Katie Warren in 2007. Jonathan Paul Garrison (JP) spent the bulk of his childhood years in Chattanooga, Tennessee. At age seven, he accepted Jesus Christ into his life. He knew the grace of God, and felt as if he was growing in his Christian walk. 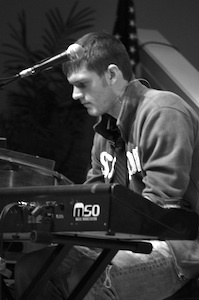 As a teenager, he served on the worship team at his local church, and had a passion for both music and film. In his late-teens, JP felt as though he was becoming disenchanted with certain aspects the “Christian religion.” After high school, he attended Regent University at Virginia Beach for film, where he also began seriously investigating the Mormon Church. After three years of investigation, JP was baptized into the LDS Church at age twenty. In the spring of 2013, he also joined the Mormon missionary ranks in Hawaii. While on his LDS mission, God pursued him, reminding him of the grace he once knew as a Christian in many ways. For example, JP read “Unveiling Grace”: Lynn Wilder’s account of leaving Mormonism for Jesus. Through this book, he connected with the Adam’s Road Ministry and was encouraged to follow Jesus regardless of the worldly cost. JP’s prodigal journey met a joyful ending as he left Mormonism and returned to his former faith. He joined the Adam’s Road Ministry in the fall of 2014. He is a singer and song-writer for the group. JP has a powerful testimony about God’s unfailing love and relentless pursuit of His children. We’ll be hearing the story of these four gentlemen on the show as well as hearing some of their music. I hope you’ll be listening!